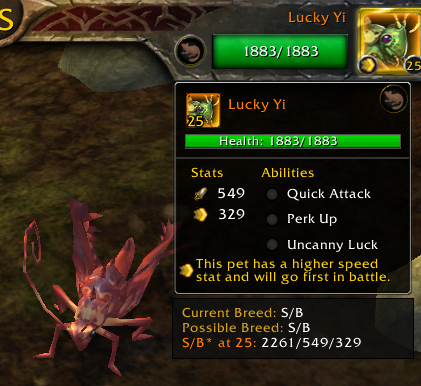 Lucky Yi is an unassuming little cricket in the second book of the Beasts of Fable dailies. He’s a stone’s throw away from Farmer Nishi in The Valley Of The Four Winds. Lucky Yi has 3 abilities. One is an enormous heal with a component that increases his maximum health. He also has Uncanny Luck, which increases his chance to hit by half and his chance to crit by a quarter, and the straightforward Quick Attack, which always goes first, and either hits for 300 or over 500, depending on whether he crits. So, this is a fun one. 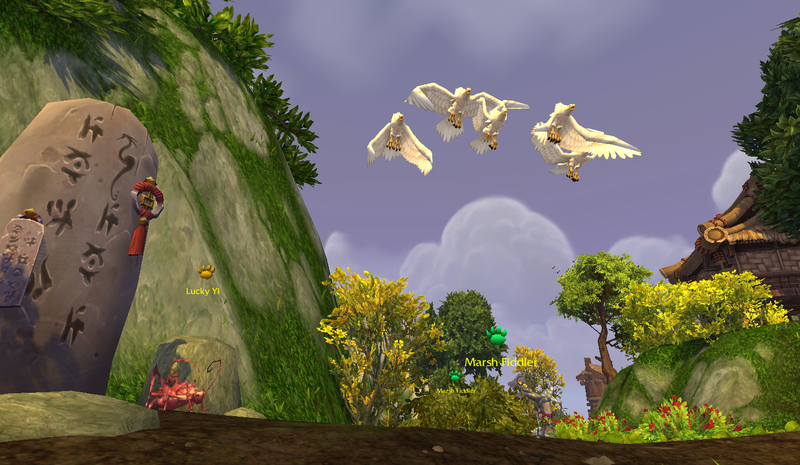 In this particular strategy, the Hatchling’s main role is to provide Exposed Wounds. There are many other pets that can do the same, or use Wild Magic. Either works well here, but the extra Beast damage provided by the Hatchling’s Bite is a really nice perk to using the tiny raptor. The Summit Kid can be swapped for a different Lamb, but there aren’t a ton of choices here. This is the key pet for this strategy, with Chew and Stampede. 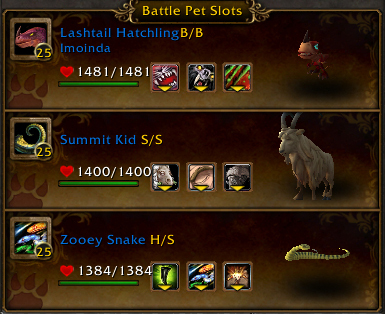 The Zooey Snake is a beast pet with a lot of good synergy with the other two because of its poison, but just about any 3rd beast will work out really well here. I’d recommend a monkey with Banana Barrage here too. 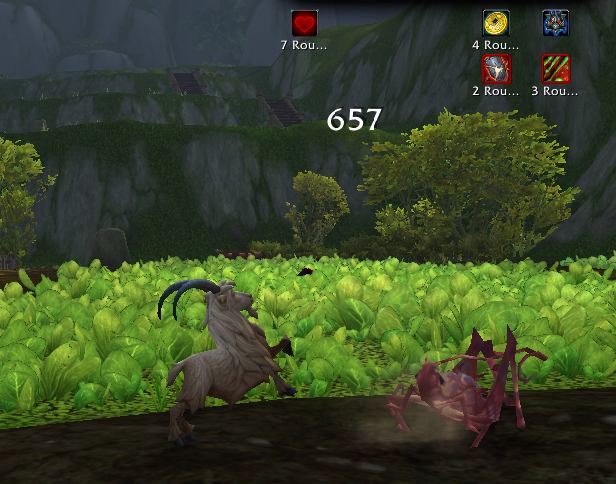 The first thing you’re going to do is throw that additive debuff up on Yi, then swap to your goat. This is where the combo comes in. We’ll use Chew, and then use Stampede to apply the Shattered Defenses debuff. That next round, Chew will also hit, now doubled by the huge buff from Shattered Defenses. Stampede itself also gets a really hefty bonus from that Exposed Wounds buff, but don’t get too comfortable, because the fight isn’t over yet. 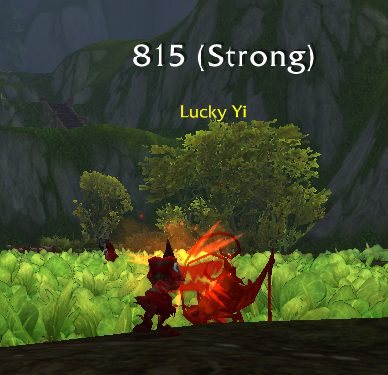 Lucky Yi’s heal, with his incredible 549 power, heals for over 700 damage. Even halved, that’s a significant amount of healing to overcome, which is why I go for burst over a heal debuff team. Most heal debuff pets don’t have good utility against a single critter, and those that do tend to be hampered a lot by the Darkness accuracy debuff. 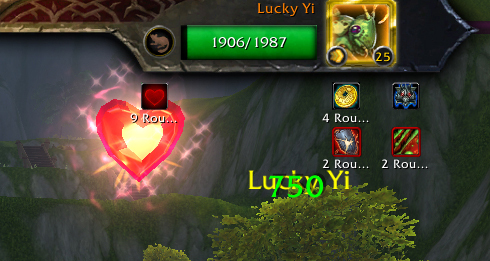 Lucky Yi’s Uncanny Luck means that he is not, so I find I have a really dicey time due to RNG when I try going that route. After Stampede runs its course, I Chew, which hits from the back row, then swap back to the Lashtail, both for a big Bite buffed with Shattered Defenses, and to refresh Exposed Wounds. I then swap back to the Goat to Chew and Stampede again, then (if necessary) swap to the Snake. In general, Chew when it’s ready, keep up that Exposed Wounds buff, and Stampede as a filler and you’ll be in really good shape. For more options, the strategy for Nitun works excellently here, as does the Howl Bomb team. This entry was posted in Beasts of Fable and tagged beasts of fable, daily on April 4, 2014 by Liopleurodon.